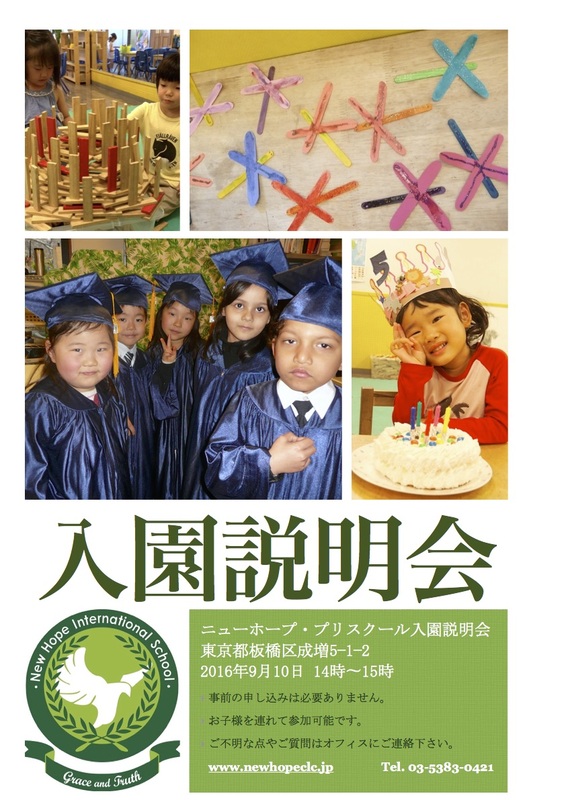 New Hope International Preschool in Narimasu is holding an information session on September 10, from 2:00 to 3:00PM. Please come if you are interested, and please help spread the word. Thank you!